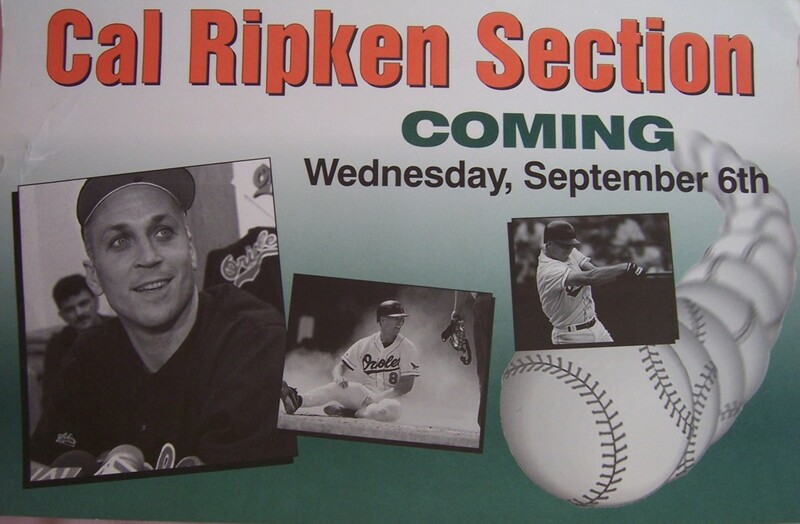 Original Cal Ripken 1995 Washington Times newspaper vending machine promotional sign reading Cal Ripken Section Coming. Rare item as only one was produced for each vending machine and displayed for a single day, and virtually all were discarded immediately. Has major crease and dent damage near left edge but overall in good condition. ONLY ONE AVAILABLE FOR SALE.